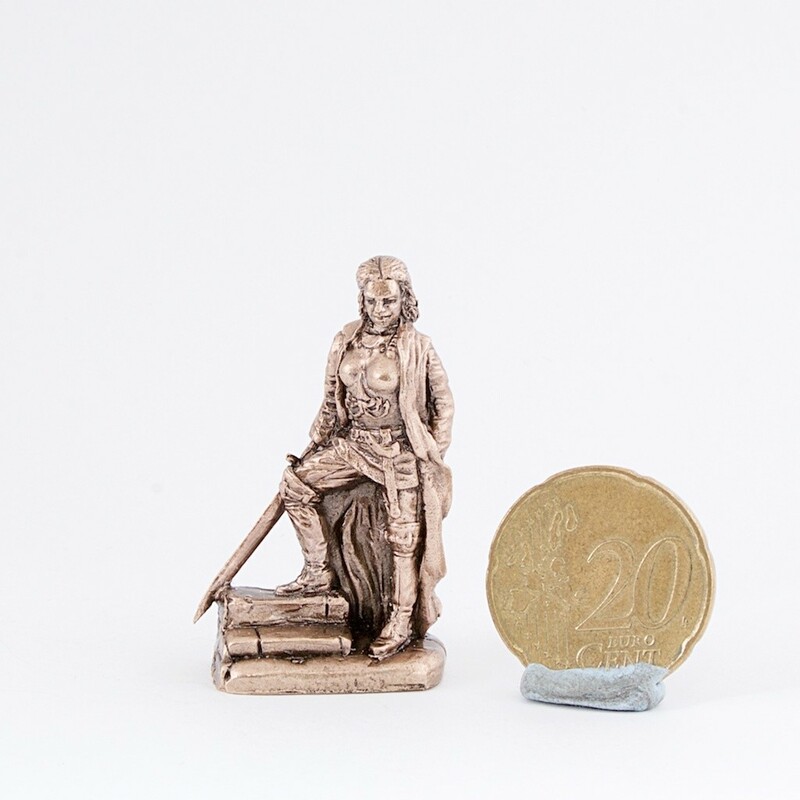 This is a brass figure of Yara Greyjoy, Game Of Thrones show. Queen Yara Greyjoy is an Ironborn, Theon Greyjoy's older sister and his only surviving sibling. She was raised at Pyke, the stronghold of House Greyjoy. Yara is a fierce warrior and commands her own longship. She is currently a claimant to the throne of the Kingdom of the Iron Islands and an ally of Daenerys Targaryen, despite being captured and taken prisoner by her uncle, Euron Greyjoy, during the assault on the Targaryen Fleet. Yara is captain of her own longship, the Black Wind.